Paris is the city of lights, romance, and home to the Eiffel Tower. You can tour Napoleon’s Tomb, take a leisurely bicycle ride, and sample delicate croissants at quaint cafes. If you’re a yogi, there are plenty of sensational places to lay down your mat and take in a Paris yoga experience. Here are some beautiful parks you might want to check out if you’re ever in the neighborhood. 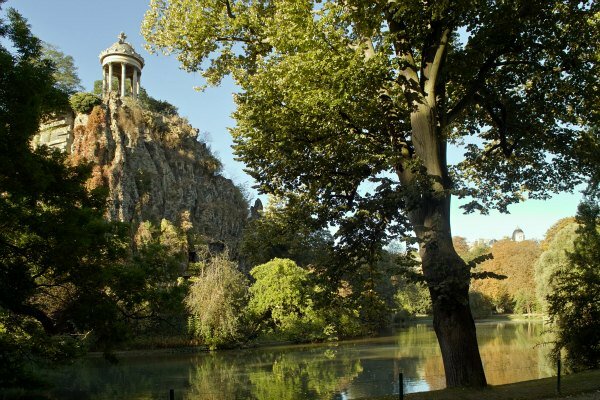 The historic park Buttes-Chaumont was crafted of a gypsum and limestone quarry in 1864. Among the most stunning features are the waterfalls and a romantic temple known as the Temple de la Sibylle, a small-scale version of the Italian Temple of Vesta in Tivoli. Spread your mat out and let the beauty of turning leaves and the sounds of cascading water invoke peace in your practice. 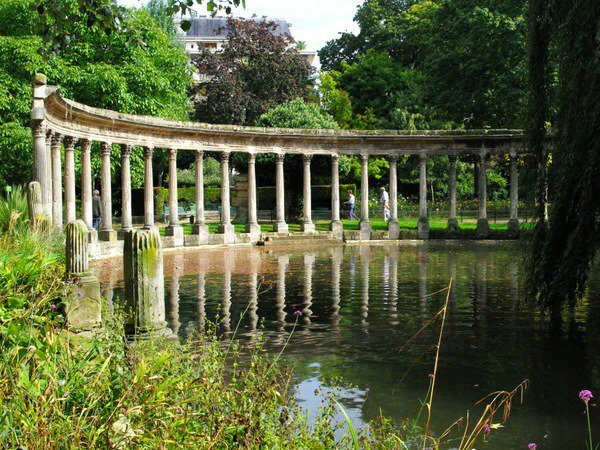 At Parc Monceau , you'll find winding walkways and an array of statues in this well-populated, open space. The gardens are lush, welcoming children, lovers, and the occasional yogi with a penchant for yoga in glorious outdoor spaces. 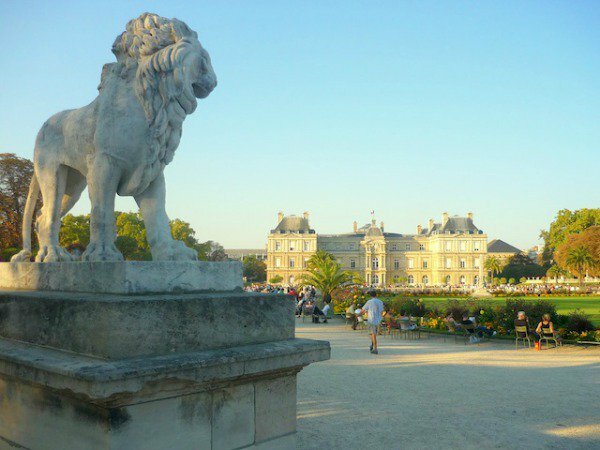 The Luxembourg is another park adorned by large statues like the one pictured above. You'll feel as though you're visiting an outdoor museum. Leave your mat behind and enjoy the thick blades of grass beneath your feet and hands. 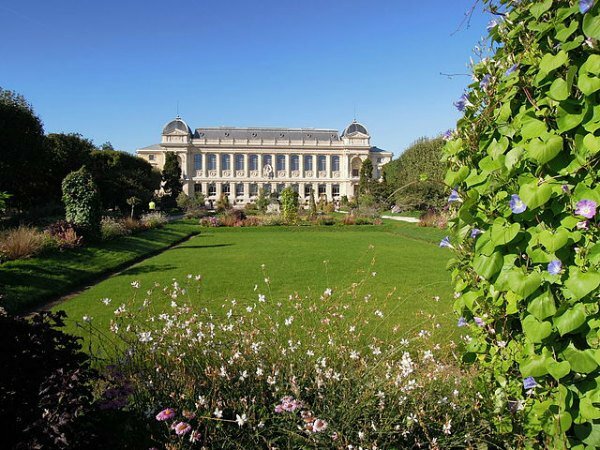 In the Jardin des Plantes, you'll see historic glass houses, a labyrinth maze, a small zoo, and a garden of botanical blooms and brilliant roses set in rows. It's a wildly romantic place where the nature-loving yogi can truly indulge his senses. 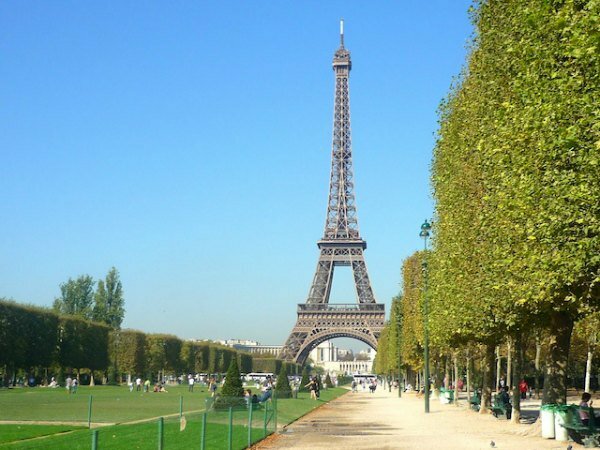 At the Champ de Mars you'll have an extraordinary drishti in the famous Eiffel Tower. Yes, you'll have a front row view of this grand architecture! This park is named after the Roman god of war, but don't let that disturb your peace. Are you planning a trip to Paris? Perhaps you live there already. What are your favorite places to do yoga in Paris? Leave us a comment below.